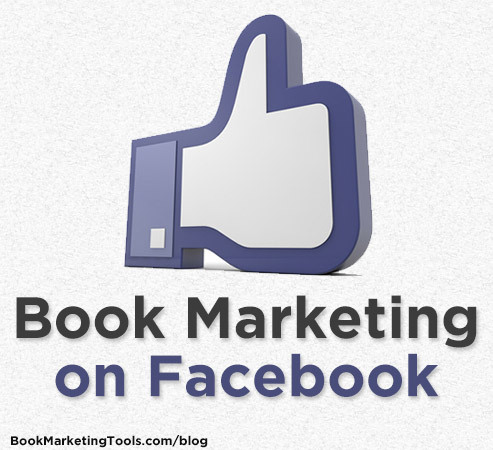 While there are definitely ways to get book sales from Facebook by using ads, if you’re just trying to grow your Facebook page and send posts to them, you may not be getting sales like you had hoped. In this guest post, author Nicholas Rossis shares his insights into why you may be struggling, and a better way to use Facebook as an author. Michael has hosted a TV show on HBO and England’s Channel Four. He’s well known in his niche market. And yet, after five years, he only has 5,000 Facebook followers, when 20,000 followers seems to be the minimum amount you need to make any real headway. The average person, though, has just 338 friends. This is always the biggest shock to most authors and even publishers: Facebook will not allow you to reach “friends” or the people who like your page unless you pay them. On average, Facebook allows less than 16 percent of your fan base to see your posts. You have to pay to reach the remaining 84%. Michael has generously shared his marketing results. He has a niche book that’s spent the last 12 months on Amazon’s Top 10 gay nonfiction category. It is often #1. 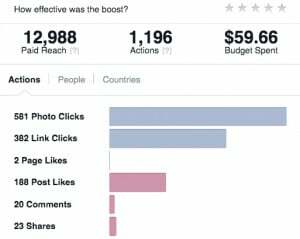 He has 5,000+ Facebook fans and recently spent $60 to reach them plus another 8,000 like-minded folks. The result? He sold three books. In case you think his post in the news feed wasn’t very effective, he’s shared his numbers with us: 188 post likes, 20 comments and 23 shares. The response was actually so good that Facebook sent him a message congratulating him on the fact that his campaign did better than 93 percent of others like it. So, what is preventing Facebook from being a useful tool for direct sales? People don’t “like” your page so they can be sold to.They signed up because they want free entertainment, gossip, information, advice and insight. You can only talk about your book so many times before you start sounding like an infomercial. Facebook has a low click through-rate for posts.Michael’s campaign achieved a spectacular 3 percent click-through rate (the number of fans who actually clicked on his post). Three percent is spectacular? Facebook’s average click-through rate is less than two-tenths of 1 percent. Of these people, the ones who actually both saw the post and clicked on the link to see it on Amazon, only about 13 percent will actually buy the book. This is Amazon’s conversion rate. Before you give up on Facebook, here is an important point to consider: Michael does not mention the sales vs. brand-building aspect of marketing. So, yes, Facebook may not create direct sales. However, it can help you build your author brand. For example, Michael says that he’s well known in his niche market. This is partly because of his online platform. If you do choose to use it that way, one thing to do is create a nice ad. Here is a free PDF with 500 Facebook ads examples you can analyze and model after. I use these to come up with ideas from time to time. I’ve been attending a marketing course on Facebook, so in the coming months I’ll be experimenting with it. Hopefully, I’ll be able to share a more positive experience than Michael. 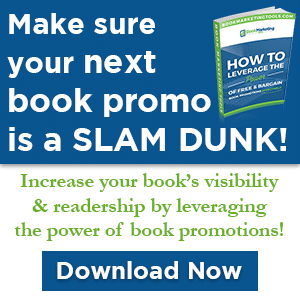 In the meantime, however, I’m sticking to the tools that have worked wonders for me in the past: setting a book for free for a limited time, and promoting through services like Book Marketing Tools. This has allowed five of my books to reach number one on Amazon repeatedly. Even better, it also generates new reviews: my books now have over 200 reviews in total, largely thanks to the regular promos. Nicholas Rossis lives to write and does so from his cottage on the edge of a magical forest in Athens, Greece. When not composing epic fantasies or short sci-fi stories, he chats with fans and colleagues, writes blog posts, walks his dog, and enjoys the antics of two silly cats, one of whom claims his lap as home. His children’s book, Runaway Smile, earned a finalist slot in the 2015 International Book Awards and in the 2015 IAN Book of the Year Awards. You can read it for free on his blog.